Japan Sendai Yuriage Interior of a car destroyed by the Japan tsunami. An estimated 230.000 automobiles and trucks were destroyed by the tsunami that devastated the east coast of Japan on March 11, 2011. 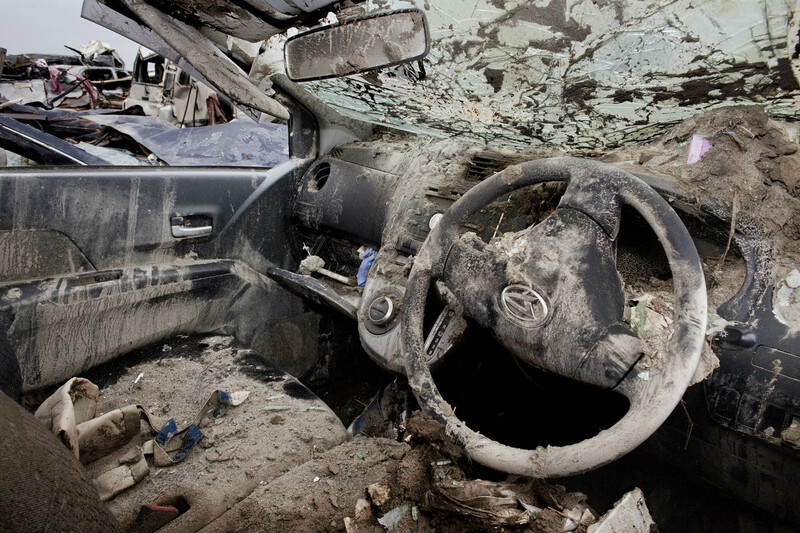 Three months later, many cars have been collected and placed on dumping sites, while other cars and trucks are still left where they were taken by the tsunami.